Grove & Dall'Olio designed this factory which manufactures 30,000 pieces of handmade furniture each year in styles ranging from antique reproduction to contemporary - both for custom trade orders and retailers around the country. 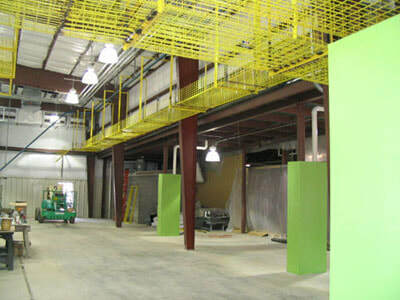 ​The factory addition was completed on time and within budget. A state-of-the art exhaust air system with heat recovery was incorporated into the design. The factory floor was designed to accommodate a complex conveyor-style furniture finishing system while safely allowing processing work below.